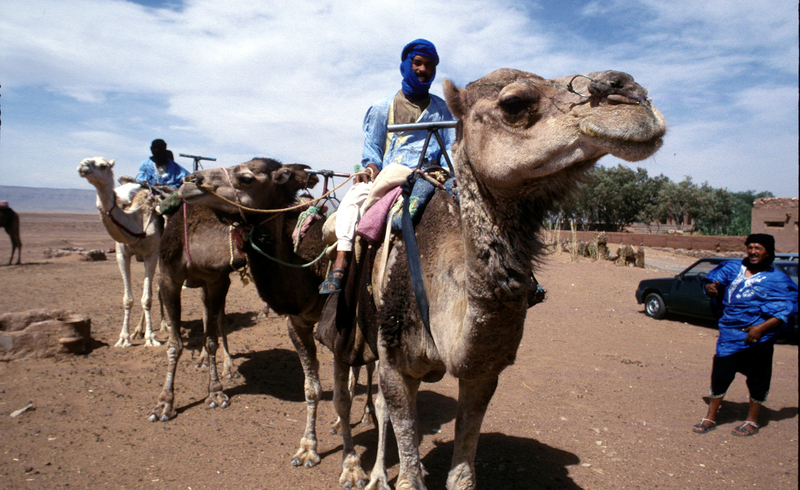 Ian Wright travels to Morocco on the north-western tip of Africa. It’s a country of stark desert, high mountain ranges, and some of the most richly cultured cities in the world. He begins his journey in the port of Tangier, where most travellers enter the country. He shares a ride with an American businesswoman as far as the small market town of Chaouen, and picks up some valuable tips about travelling in Morocco. He then hitches to the walled city of Fez, through the Rif mountains, the country’s main Hashish growing region. Fez remains the most complete medieval city in the Arab world, and is Morocco’s religious capital. Ian spends a day exploring the Medina and winding back-alleys, before heading for the hammam, where he experiences a violent Moroccan massage. Ian continues his journey to the village of Tamtachoute in the High Altas Mountains, where he’s invited to stay the night with a local family – to a Moroccan a guest is a gift from Allah, and he’s made to feel very welcome. Next day he witnesses Aid El Kabir, one of the Islamic world’s oldest and most important religious festivals celebrating the time when Abraham was asked by God to slaughter his son, Isaac. Every family that can afford to buys a sheep and slaughters it at home. Ian heads for Marrakech, the imperial city which is the largest market centre in southern Morocco. The streets are teeming with performers, artists and hawkers. From here he hires a guide and attempts a challenging climb up the highest mountain in North Africa, Mount Toubkal. He’s elated to reach the summit, but is suffering from the effects of the high altitude, a staggering 14,000 feet. After returning to Marrakech Ian takes a bus to Essaouira on the Altantic coast. Once a free port for trans Saharan gold, ivory and slaves, in the 1960s Essaouira became a hippy haven for people like Jimi Hendrix and Bob Marley. He ends his trip with a well-earned day chilling out on the beach.